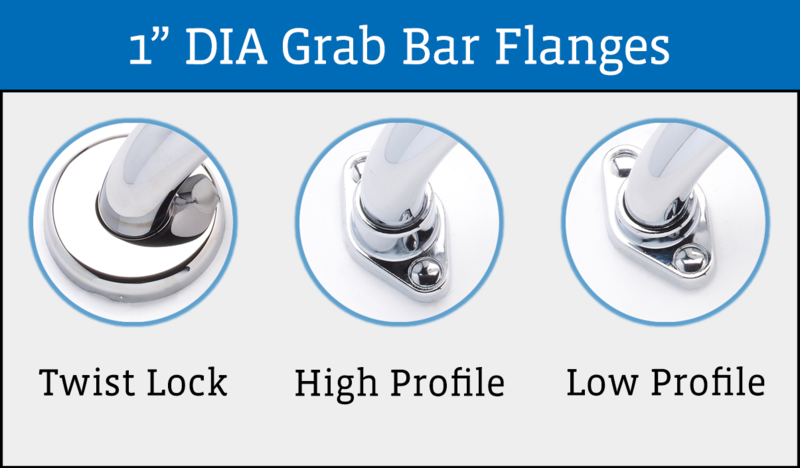 Premium Grab Bars | Elcoma Metal Fabricating & Sales, Inc.
Elcoma Metal Premium Grab Bars are availble in a wide range of standard configurations for the most common household and public situations. When you customize your order, the posibilities are nearly endless! Choose your length, diameter, grip, flange, and finish to fit your unique needs. 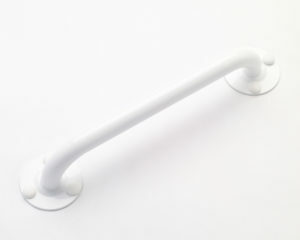 Standard straight grab bars come in lenghts of 12", 16", 18", 24", 30", 32", 36", 42", and 48". Other configurations may vary. 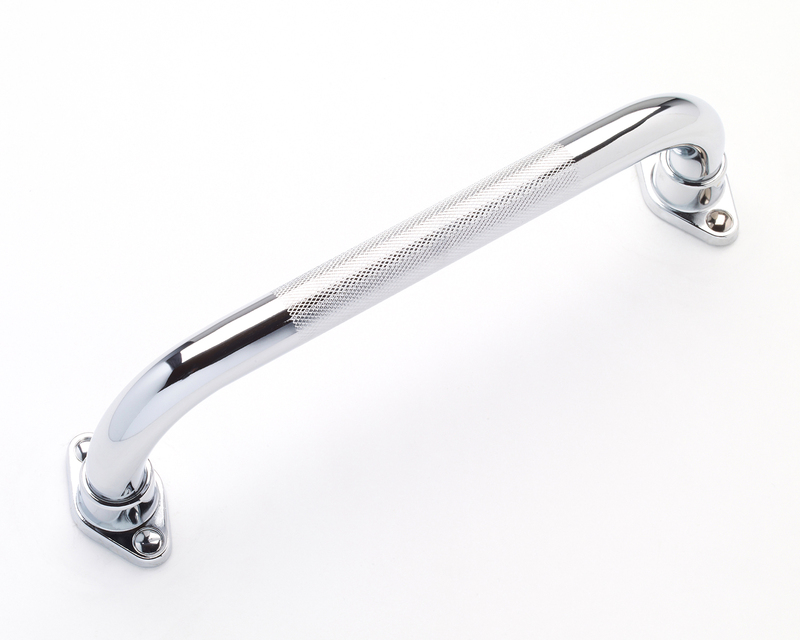 Our premium grab bars are electroplated with chromium for a beautiful high polish metallic finish. We cary a wide range of options for painted color powder coated bars that will match any look or feel you need, without breaking the bank! Need more colors? 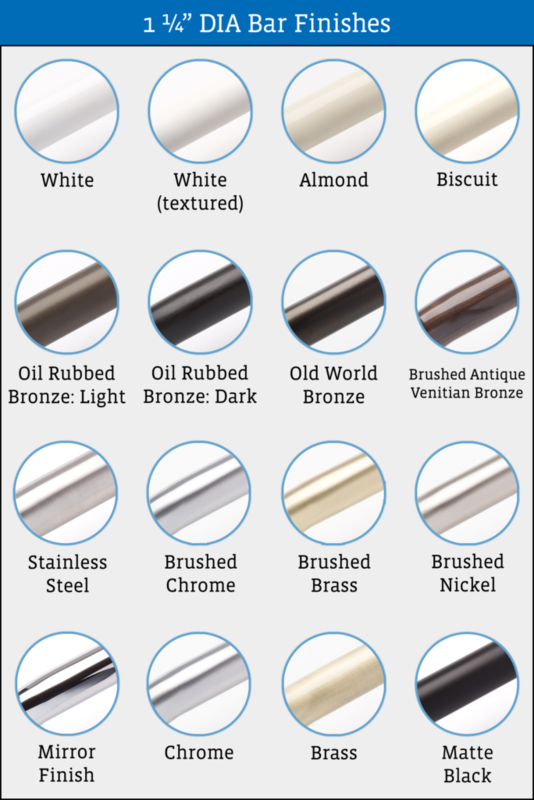 Check out our RAL Custom Color options! Our premium grab bars come in four standard grips: Smooth, Peened, Knurled, and ShurGrip (1¼" only). Smooth is a traditional polished finished, without any added texture to the metal surface. Peened and Knurled grips are fine-textured grips expertly ground into the main segments of the bars. ShurGrip is a special diamond pattern full bar texture we put onto our 1¼" bars to maximize hand hold support. 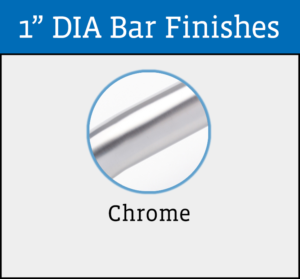 Our 1" bars are available with Twist Lock, Low and High Profile, and exposed 3 Hole flange varieties. 1¼ Inch bars are available in the following colors: White, Almond, Buscuit, Oil Rubbed Bronze, Old World Bronze, Antique Venitian Bronze, Stainless Steel, Chrome, Brass, Nickel, Mirror Finish, or Matte Black. Our 1¼ Inch Premium grab bars come available in Twist Lock and 3 Hole flanges, as well as our Signature Series Round and Square beveled design flanges. 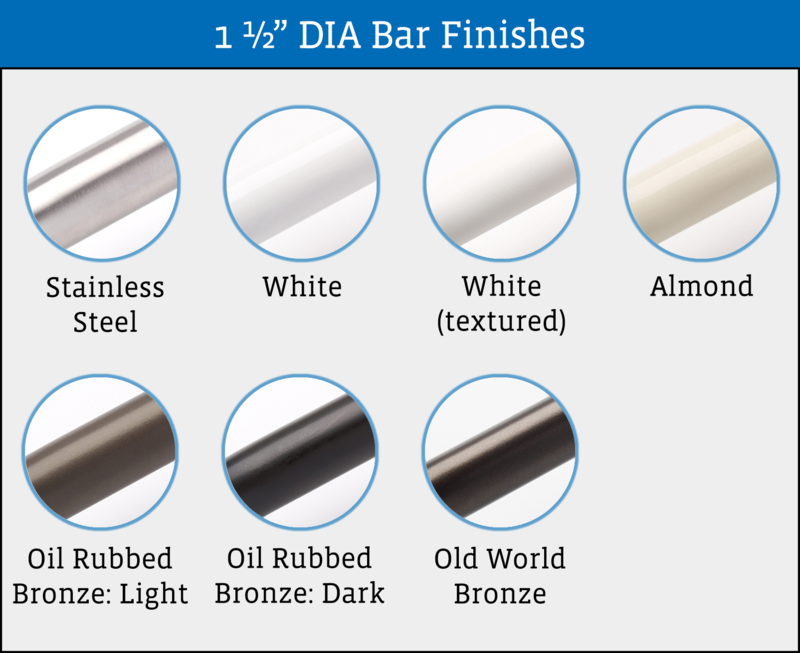 1½ Inch bars are available in the following colors: White, Almond, Oil Rubbed Bronze, Old World Bronze, and Stainless Steel.